On November 23, three terrorists from the Baloch Liberation Army (BLA) – a militant group advocating separatism for the Baloch people, an ethnic group found in parts of Pakistan, Afghanistan, and Iran – attacked the Chinese consulate in Karachi. Despite being armed with suicide vests, hand grenades and AK-47s, the militants failed to enter the consulate building and were neutralised at the entrance. Though Chinese nationals and projects have been attacked in Pakistan in the past, this is the first high-profile terrorist attack on Chinese state interests in the country. It has raised serious concerns about the safety of the US$62 billion China-Pakistan Economic Corridor (CPEC) – the flagship project of China’s “Belt and Road Initiative”. 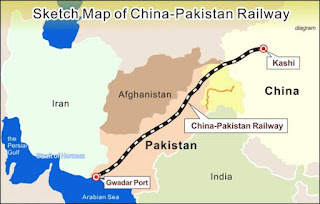 The CPEC, which originates in China’s Xinjiang province and culminates at the Gawadar port in Balochistan, is exposed to an array of insurgent and terrorist groups in Pakistan.